We looked at a car here for my son. They were friendly and helpful. Allowed me to take car to my mechanic. Even though we did not end up buying a car here, I was impressed with there hospitality and customer service. We recently purchased a box truck from Cox Auto Group. Their staff was beyond helpful in ensuring that the truck was up to spec operationally and equipped to handle our needs. I can't say enough about how genuine and customer focused their staff is. I would definitely recommend them to anyone looking to purchase a used vehicle and I personally intend to buy from them again in the future. I just bought a Hyundai Entourage from Cox Auto Group. They were friendly, easy going and there was ZERO pressure. They asked me about my car needs and showed me what they had. They didn’t try to upsale me or show me something I didn’t ask for. Before this experience I had heard awful things about car shopping, but Cox made it so easy. I’m so grateful for the opportunity I’ve had to work with these guys. I had written a review, a few weeks ago, but was unable to find it. So , I shall write another. :) First off, those of you who have given a negative review about this dealership, appear to have invalid reasons. If you would have made an attempt at communication, you would be giving them 5 stars as well. I bought my vehicle a few weeks ago. And I have NEVER dealt with a more honest and helpful dealership... including new vehicle dealerships. Everyone there, Tiger: James & JJ are just an awesome group of people. "Going above and beyond" is a definite understatement! I will never buy a vehicle from any other dealership ... never. I understand that there may be times that they are too busy to immediately run out to customers, who are in their lot. But, to me, that's somewhat refreshing when I consider how overbearing some cars salespeople can be. 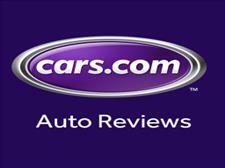 There are too many 5 star reviews, here, to not check Cox Auto Group out. I can not thank them enough for all that they did for me. Cox Auto has been immensely helpful to the mission of Big Brothers Big Sisters of the Ozarks and the Think Big Foundation. Going above and beyond with courtesy and patience to assist our growing mission. Even lending their support outside of normal business hours to keep our program afloat, they have consistently been professional, courteous and upfront with the BBBSO organization. We may not be able to express our gratitude into words that fit the stellar support we've received, but we definitely will not let it be forgotten. I first met everyone here approx a yr ago n invested in my red charger from them n they were kind, respectable n caring n very helpful in financing the car for me. Today I purchased a Prius from them as my charger was totaled 2 months ago. As of now they have become like family to me as I am about n expect nothing less than respect n honesty n so much more they took it over the top. Anyone to not find all good in them simply are looking with a closed heart n mind. Talk to them with respect n honesty because like me anything less will get you no where. They have great used vehicles n take care n pride in they're work. I could go on forever as to how great they are but if your looking for a great used vehicle n amazing financing options as even they're bank guy is the greatest than you need to stop by n see what they have n if they don't have what your looking for give them a idea of what you want n they will get it for you within reason. They deserved 5 stars from the start though I gave 3 n as of this date over a yr later they have proved even more the 5 stars was without a doubt what they deserved n so that's what I've give. Amazing people that would help you out!! if you are trying to get a reliable car ASAP come talk to them just let them know your situation they will help you out because that's what they did for me and my wife when we first bought our 09 acura tsx . I would put 10 stars for reviews but google only let me put 5. Second vehicle, very professional service. I couldn't ask for anything better! We helped our teenage son buy his first car at Cox Auto Group. I usually hate shopping for cars because I don't like getting pressured to buy or being asked questions like, "What payment do you want?" Luckily, the salesmen at Cox aren't like that. We had a chance to look at our own pace with no pressure, and they let us take the car to our mechanic to give it a look over. Once we made the decision to buy, it went very smoothly, and we felt good about our decision. I recommend them to anyone looking for a used vehicle. Kyle Barrier - . . .
A wonderful family owned used car dealer. They are always concerned with the customer being totally satisfied with the vehicle purchased and will go out of their way to give service after the sale. I have had so many bad experiences with buying cars and was super wary of this dealership until I started talking to them. They are very open and honest and easy to work with. I decided to try them out and they have been super helpful even after the purchase of our van. When we discovered some issues with the van doors, the dealership jumped at the opportunity to help satisfy us. They went above & beyond our expectations. No pressure at all. They didn't Sell us a car. They allowed us to Buy one ?? I had a great experience with Cox auto group. James and J.J. worked a deal that fit my budget. I bought an Acura MDX that was loaded for a really good price. Even with past credit issues and a less than perfect score the got me approved. For a lot less down and a really affordable payment than any of the other guy's. If you're in the market for a good used car no matter what you're situation I would recommend Cox auto group. We won't buy our next car any where else. I love the BMW Z4 I bought from you! 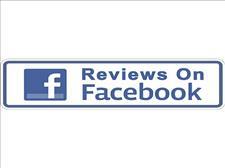 All of you were so friendly and helpful....top notch service. Thank you! Thank you! Thank you! I will be back again for another car for my daughter. I bought a toyota corolla from cox auto group almost a year ago. We were treated like family from the time we walked in. This car has been transportation for a four person family. We have put around 11,000 miles on this car and she still runs like a dream. 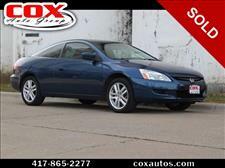 We haven't had any problems with the car and will be buying future cars from cox auto. Great place friendly staff and no pressure to buy if u are unsure!!! I love the Cox family and have worked with them for several years. I love these guys. I have bought two vehicles from them and i was treated like family while I was there. We bought a 2000 Honda. We were paying for a used car and we were treated better than when we bought a new Jeep from Youngbloods. The folks who own and work for Cox auto are friendly and great down to eartb people. Would definitely return to buy another car. I couldnt have asked for better people to buy from. Very honest and down to earth people. I'm a 25 yr old single mom. They were very honest with me about which vehicles would be best for me. I would definitely buy from them again! We ended up driving there early the next morning. The dealer really worked with us on this car, worked within our budget and went over and beyond to help us buy this car for my daughter. She got her dream car. We would definitely go back to them. Another 5-star review for Cox Auto Group! I had a great customer experience. Steer clear of the big lots in town if you don't want to get ripped off! The level of customer service offered at this friendly, family-owned business is incredible. Great discretion and integrity, they're completely down to earth and will treat you like real people with real needs instead of a faceless walking dollar sign. HIGHLY recommended. I bought a 2002 Acura MDX used from cox and am in love with the vehicle. It has some issues and they were quick to fix the vehicle. Very friendly and down to earth! Family owned business. They worked very hard to get me into the car that I wanted. It took a couple days for financing but I got the best interest rate and service. They also said if I had any future problems that they would help me through them. What a dealership!! Went In after finding a great truck online. I was greeted with extraordinary hospitality. Definitely had a honest southern vibe where everyone's friendly. 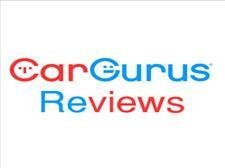 They were extremely helpful answering all my questions and helping me get a good rate with affordable payments. I would recommend these guys to anyone. Overall they took good care of me. Let they them do so for you.